They're going to kill each other - if the apocalypse doesn't do them in first! 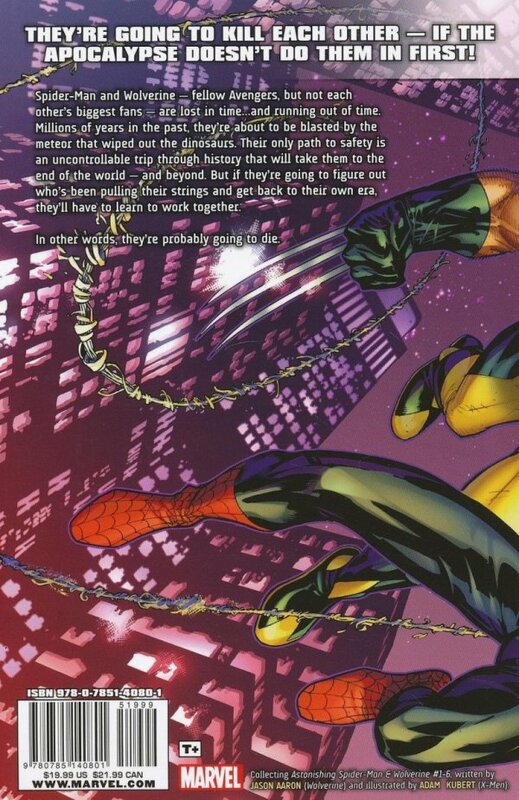 Spider-Man and Wolverine - fellow Avengers, but not each other's biggest fans - are lost in time?and running out of time. Millions of years in the past, they're about to be blasted by the meteor that wiped out the dinosaurs. Their only path to safety is an uncontrollable trip through history that will take them to the end of the world - and beyond. But if they're going to figure out who's been pulling their strings and get back to their own era, they'll have to learn to work together. In other words, they're probably going to die. 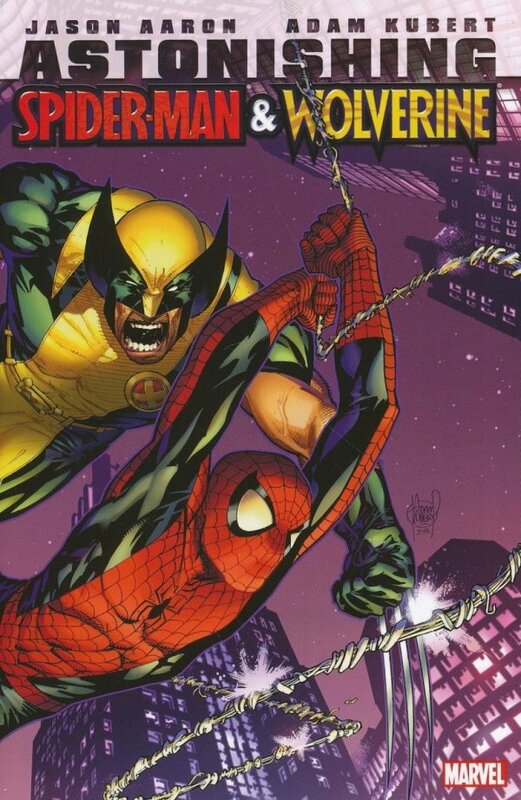 Collecting ASTONISHING SPIDER-MAN & WOLVERINE #1-6 and material from ASTONISHING SPIDER-MAN & WOLVERINE #1 DIRECTOR'S CUT.